Unlimited graph papers created and printed by you! Quick Picks make it easy to create a paper. It is saved (with your papers) to use again. 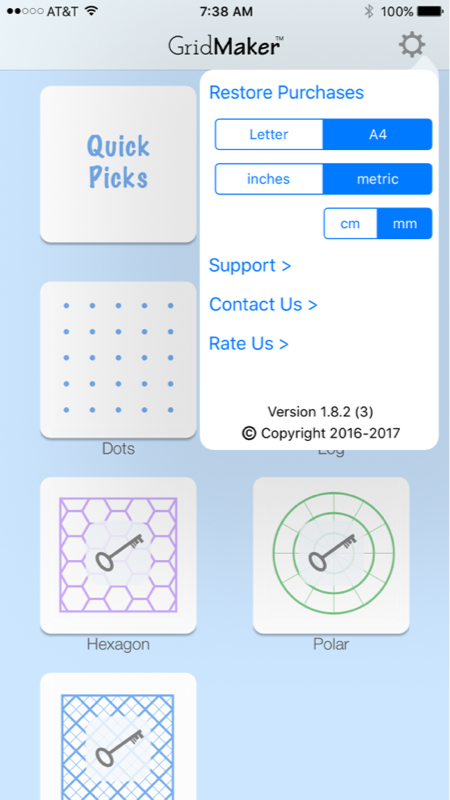 Or, tap Custom Grid Size to enter grid size numbers. 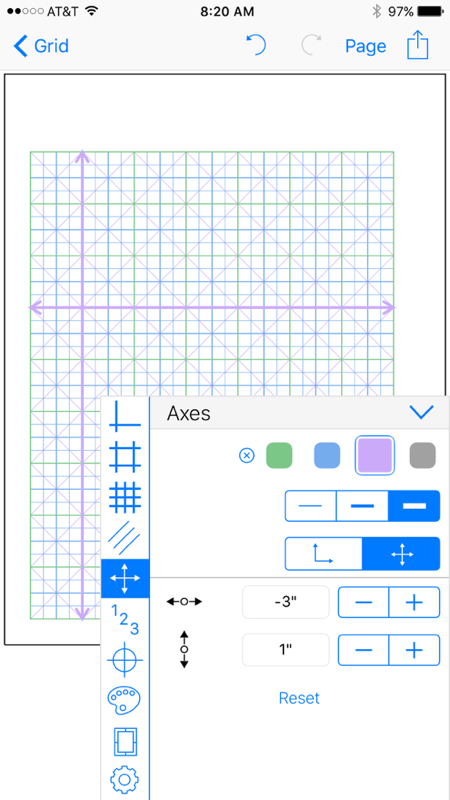 Pick from two axes styles, adjust to place anywhere on the grid. Set origin to 0 or other value, place in a corner & adjust stepping. Centerpoint helps orientation when there are no axes. 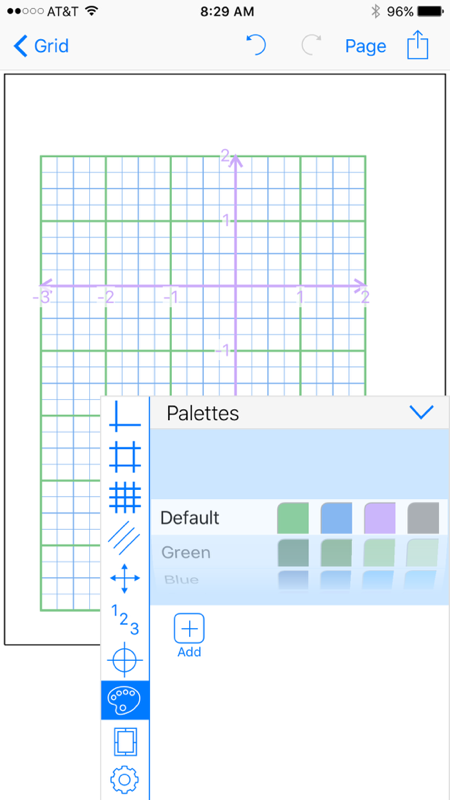 In-App purchase adds more palettes and the ability to create an unlimited number of your own. 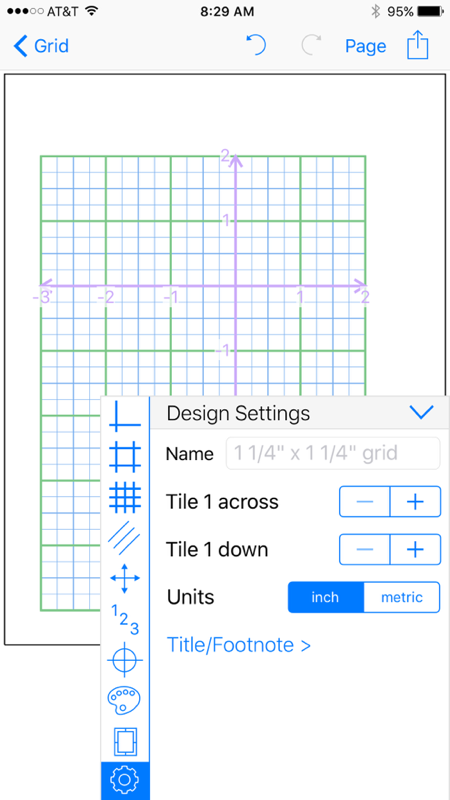 Design Settings to Name your paper, switch between inches & metric, or unlock grid tiling. Print directly from your iPhone or iPad. ​Share PDF to email yourself the PDF & Print the message to a network printer. 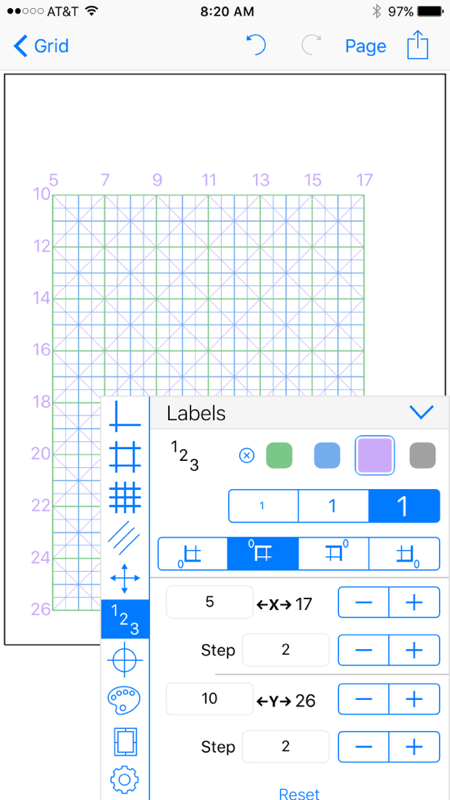 SHARE the GridMaker PDF to any app that supports PDF. Apple Notes is one option.